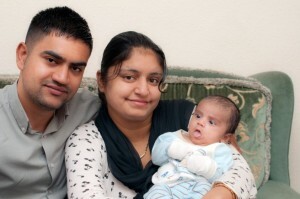 Keep Surjit and his family safe! We the undersigned appeal to the Home Secretary on behalf of Sunita Davi and Surgit Singh a young married couple threatened with deportation to Afghanistan where they fear for their lives at the hands of Sunita’s family. They also fear persecution for their religions – Sikh and Hindi – in Afghanistan. They fell in love as teenagers and had parental support but when Sunita’s father died her older brother assumed responsibility in the family and arranged a marriage to an influential older man. Sunita and Surgit married secretly and fled to Moscow where Surgit had a brother and where he had himself lived and worked. They were however followed by Sunita’s family and attacked on a Moscow subway. They were in hospital for a few days and then with the help of Surgit’s brother fled to UK where they were detained and imprisoned 3 months as illegal immigrants. They were finally allowed to make an asylum claim and dispersed to Sheffield where they have begun to make a new life. Their first child was born in June 2011. We urge humanitarian protection for this very young couple and their baby. Their lives are in danger not only through social customs of family honour but also because their religious affiliations are currently unsafe in Afghanistan. Download the Petition draft here..